As you already likely know, some clever clogs has found a way to unlock a number of graphical options hidden within the PC version of Watch Dogs. They make the game look, for all intents and purposes, like the stunning E3 reveal. We suspect they were disabled so that console gamers don’t feel like they drew the short straw, but Ubisoft says that’s not the case. 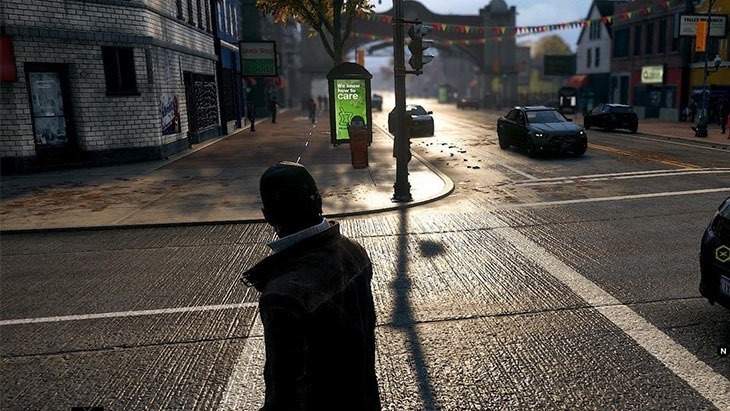 Speaking on the news section of the Watch Dogs official site, The team acknowledged the patch, though said that using the graphics mod could result in unforeseen. negative consequences. The dev team is completely dedicated to getting the most out of each platform, so the notion that we would actively downgrade quality is contrary to everything we’ve set out to achieve. We test and optimize our games for each platform on which they’re released, striving for the best possible quality. The PC version does indeed contain some old, unused render settings that were deactivated for a variety of reasons, including possible impacts on visual fidelity, stability, performance and overall gameplay quality. Modders are usually creative and passionate players, and while we appreciate their enthusiasm, the mod in question (which uses those old settings) subjectively enhances the game’s visual fidelity in certain situations but also can have various negative impacts. Those could range from performance issues, to difficulty in reading the environment in order to appreciate the gameplay, to potentially making the game less enjoyable or even unstable. That may be, but it does make the game look pretty breath-taking, and whether or not they were deactivated for the benefit of console gamers, having the game look as good on the dedicated gaming machines would probably impact performance quite significantly. Either way, I think they should have made the optional toggles to begin with; the PC crowd loves that sort of thing.